I visited Georgia for nearly one month, staying with my brother, Doug, who works for the Peace Corps there. I was able to travel a lot here, exploring the beautiful mountains and ancient ruins. 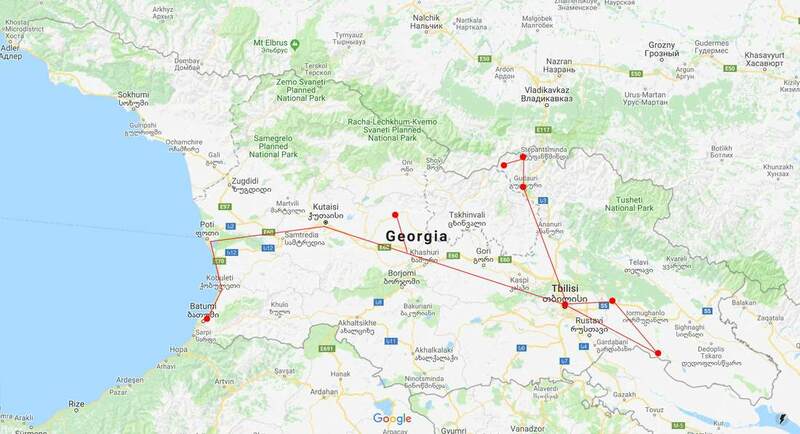 About half the size of the U.S. state of Georgia, with about one-third the population, this is an interesting country, with touristy beaches on the coast of the Black Sea, and ski resorts in the mountains.